You can't decide which you love more... the culinary arts or visual arts. Pancakes or paintings. Crepes or canvases. 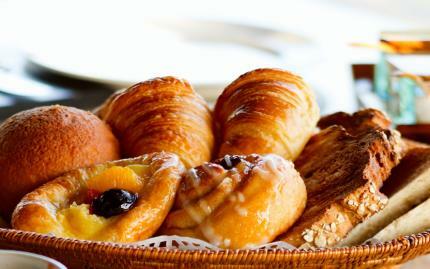 Well, why not visit the Degas house for an authentic Creole breakfast, followed by an award-winning guided tour? Enjoy your cooked-to-order, homemade breakfast with a complimentary Bloody Mary or Mimosa before you go on the Edgar Degas House Creole Impressionist Tour, led by one of Degas' great-grand nieces. On this tour, you'll explore the historic home, museum, and even Degas' studio. You'll get to view the award-winning documentary Degas in New Orleans, a Creole Sojourn, plus the Creole Neighborhood of Edgar Degas Walking Tour, based on references to the area in Degas' New Orleans letters. Don't leave your stomach rumbling as you experience this captivating tour -- let Degas House worry about food so you don't have to!